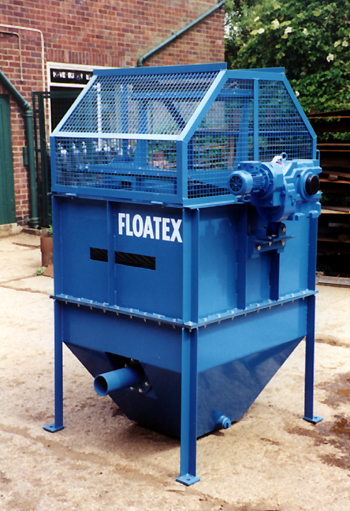 The Floatex ‘D’ Screen is designed for the removal of trash from a process stream where the available height is critical. 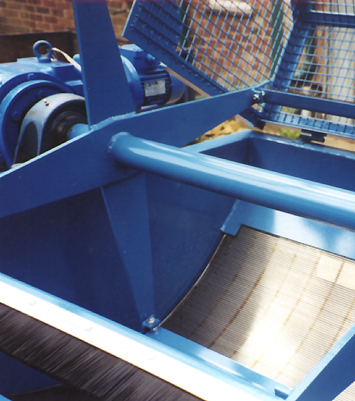 • Removal of wood, plastic, slag, stone etc.. from log washer overflows. • Removal of fine organic material from process water. The feed is introduced on to a curved screen deck, the water and fines pass through whilst the oversize is retained on the deck. A motorized wiper mechanism cleans this material from the deck. A choice of screen apertures and wipers are available to suit individual application.